What time is it? It’s “Spacetime”! After Daisy gets a vision of a future mission when she touches an Inhuman named Charles Hinton, the team tries anything they can to prevent that future from actually happening. What time is it? It’s “Spacetime”! After Daisy gets a vision of a future mission when she touches an Inhuman named Charles Hinton, the team tries anything they can to prevent that future from actually happening. That future involves infiltrating HYDRA to save Hinton, while hoping that Lincoln won’t die, Coulson won’t shoot Daisy, and Fitz and Simmons find a coat in the snow. Plus, when they get a look at the new and improved Grant Ward (now with less appealing characteristics) they begin to worry that destiny may actually have an upper hand this time. 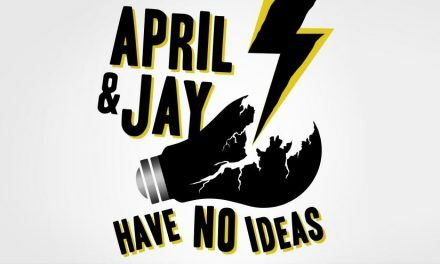 Jay and Josh join every little swallow, every chick-a-dee, and every little bird in the tall oak tree on this week’s Case Files. Download now, and so you can decrypt the data-stream directly to your MP3 player! PreviousRogue One Teaser Is Online!